Windows 10 update KB4025342 is now officially available for download. The July month update for Windows 10 Creators Update users brings various bug fixes and system improvements. You can also download the updates offline installer from the official links posted at the end of the article. According to official update changelog, the company has fixed an issue where Internet Explorer 11 may close unexpectedly when you visit some websites. This issue appeared with the last month’s update. The new KB4025342 update for Windows 10 also includes a fix to improve MediaCreationTool.exe support for Setup Tourniquet scenarios as well as CoreMessaging.dll that may cause 32-bit apps to crash on the 64-bit version of the Windows OS. Visual Studio or a WPF application may not terminate unexpectedly now when running on a pen and/or touch enabled machine with Windows 10 Creators Update. The update also addressed the issues that cause the system to crash when certain USB devices are unplugged while the system is asleep. The screen orientation issues that stops working after lid close and lid open transitions is also now fixed as well as an issue that causes .jpx and .jbig2 images to stop rendering in PDF files is now fixed with Windows 10 update KB4025342. The company also addressed other issues with the latest update where users could not elevate to Administrator through the User Account Control (UAC) dialog when using a smart card. The update also includes fixes for the Korean handwriting feature where it dropped the last character of a word or moved it to the next line incorrectly. Fixed an issue with a race condition between the App-V Catalog Manager and the Profile Roaming Service. A new registry key is available to control the waiting period for App-V Catalog Manager, which allows any third-party Profile Roaming Service to complete. Finally, Windows 10 update KB4025342 includes minor fixes and improvements to the Security updates to Internet Explorer 11, Microsoft Edge, Windows Search, Windows kernel, Windows shell, Microsoft Scripting Engine, Windows Virtualization, Datacenter Networking, Windows Server, Windows Storage and File Systems, Microsoft Graphics Component, Windows kernel-mode drivers, ASP.NET, Microsoft PowerShell, and the .NET Framework. As a reminder, monthly cumulative updates include improvements to enhance the functionality of the application, programs on Windows Operating system. 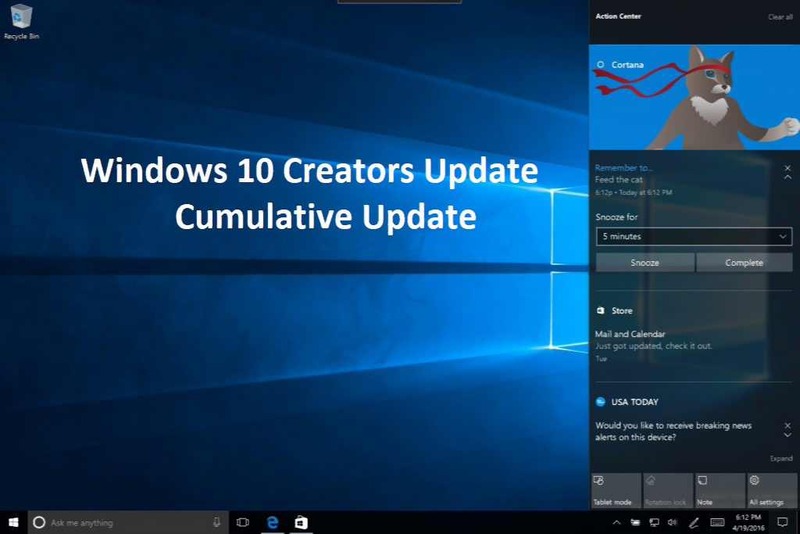 Previously, the company released update KB4022716 Build 15063.447.